Coastal Home Inspectors inspects your home from all areas and provide you a significant and clear view of your home’s present condition. Cape Coral Home Inspectors inspect all structural elements of your home including basement, walls, roofs, floor, stairs, kitchen and much more. Our qualified and expert home inspectors inspect all main components of your home like the insulation system, plumbing system, all electrical appliances, ventilation system and many other essential schemes of your home. We have all the required tools that are needed for a thorough home inspection in Cape Coral. Moreover, if you desire to attend your home inspection procedure, we always welcome you. It enhances your information about your selected home. Our home inspectors are proficient and professionally certified. They are highly expert home inspectors and are providing their services for decades. We have all necessary modern tools and latest equipment to inspect every area of your home. In our organized home inspection process, we make you well-informed about every structure and system that is present in your chosen home. We have a record of providing a most complete and in time home inspection services in Cape Coral. Contact us today to get all your worries clear about the true state of your chosen home. A full inspected home is free from any unwanted problems. If you want to sell a home at your own price, we advise you to inspect your home thoroughly. 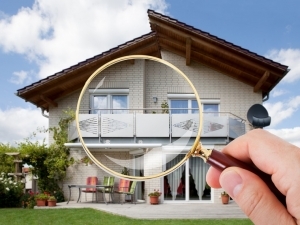 At Coastal Home Inspectors, we inspect your home very carefully. And give you appropriate tips of maintenance regarding your home’s systems problem in the finest way. If, you are in order to sell it at a superior price.